Truth by Kbaig: INCREASING INDIAN AGGRESSIONS AGAINST PAKISTAN AND OUR LONGING FOR FRIENDSHIP!!! INCREASING INDIAN AGGRESSIONS AGAINST PAKISTAN AND OUR LONGING FOR FRIENDSHIP!!! After taking Kashmir dispute into UNO and acceptance right of Kashmiris to decide their fate to the present if we look at the journey of history one can only observe practical steps and conspiracies against Pakistan by India. The process of (fruitless) peace talks also starts and suspends according to the wishes of the India. During this time of history big wars of 1965, 1971 or different skirmishes in the last 65 years like Kargil war; the basic reason of these incidents is only illegal and aggressive capture of Kashmir by India and anti-Pakistan policies of India. During this entire timeline on the one hand India cheated world through the joke of fruitless negotiations and on the other hand India launched her plans to force Pakistan to surrender to India by cultivating and buying traitors. The biggest example of the cultivation of these traitors are the hurdles in the way of construction of Kala Bagh Dam and armed Indian interference in Baluchistan under the garb of BLA in order to destabilize Pakistan internally. This credit goes to Ayoub Khan who succeeded in constructing Mangla and Tarbela Dams otherwise our agricultural lands would have been converted into desert long ago. This is neither a secret nor an unsolvable equation of mathematics that from where and how terrorists are getting trained, weapons, technical support and money. 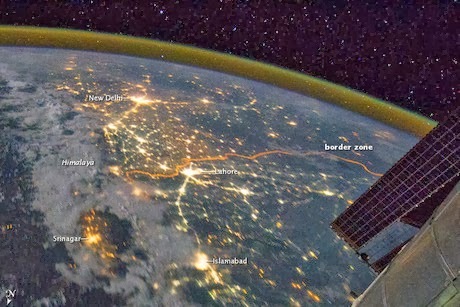 Entire world knows that India is supporting and infiltrating terrorists in Baluchistan from Afghanistan but in order to hide her terrorist activities India blames Pakistan for infiltrating into Indian Held Kashmir despite of having constructed sky scrapping walls of barbed wire with high voltage fencing over LoC (Line of Control). Although now LoC is peaceful from last few weeks but before this unprovoked Indian bombardment jolted the areas around LoC for at least four months; no one was able to understand what India wanted by this unprovoked shelling over civilians, why India is trying to sabotage Pakistani efforts for peace? During this Indian army leadership staged a drama of presence of 40 invaders sent by Pakistan in Karan Sector Kashmir which afterwards proved to be fake as India failed to provide any evidence. However the reality of this drama has now been disclosed that why India initially bombarded civilians across the LoC to get the attention of world towards tension between India-Pakistan and in the end staged Karan Sector drama and in her propaganda claimed that this was an attempt by Pakistan as “Kargil-II” and through this propaganda attempted to misguide Indian public and international community that walls of barbed wire built by Indian army over LoC have failed to stop Pakistani invaders. So the construction of protection wall in the place of barbed wire wall is inevitable. When the Indian plan for construction of protection wall was disclosed Pakistani Foreing Ministry had nothing to say except that they have no such reports about any Indian plan for construction of protection wall and India is using such propaganda to reinforce allegations of infiltration. But Pakistani nation was awaiting reaction from PM Pakistan Mian Nawaz Sharif who got reply for his suggestion to remove ban over visas in the form of construction of wall over LoC. 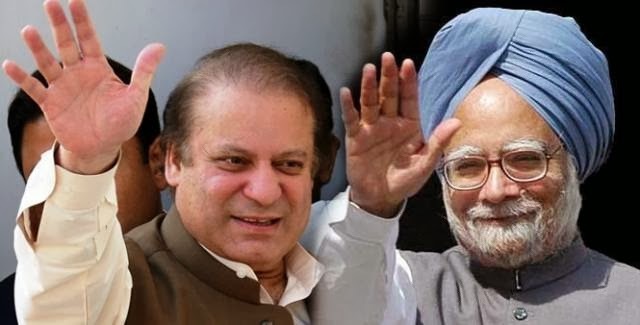 Complaining against silence of Pakistani PM aside; Pakistani media did not felt it important enough to give coverage or say few words over construction of wall over LoC in order to change the geography of Kashmir and reinforce the illegal Indian capture over IHK (Indian Held Kashmir) besides criminal silence over inhuman treatment of Kashmiris in the hands of Indian soldiers and war crimes of Indian army. In an editorial published in Nawa-i-Waqt in November 2013, proposed Indian wall was compared to Berlin wall but Indian proposed wall that will be 10 meters high, 41 meters wide and 198 Km long will not be just a wall but a building or military structure that points towards a big war plan against Pakistan. Pro-Indian intellectuals will claim these concerns as “Conspiracy Theory” but one should think over it that had ever any country built a 10 meter high, 41 meter wide wall. 10 meter height is something understandable but what about 41 meter width; will this be a wall of 198 Km long building? If we calculate the covered area of this 198 Km long building it would be 8117466.59 square meters or 87378542.067 square feet (calculations might be wrong). If we collate and calculate the area covered by all Indian cantonments it might be lesser than this area. 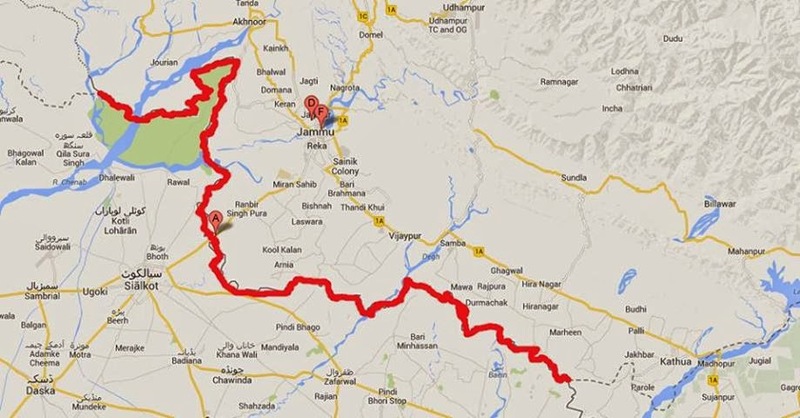 Does not this mean that this would be a 198 Km long cantonment; it is not necessary that whole wall is constructed as a single cantonment or military construction there might by gaps in between but 10 meter high and 41 meter wide structure would be enough to hide hangers of gunship helicopters as well. Calculating all this once I felt that report may be false or the height width given in the reports might have been published wrong but when I searched over the internet it was revealed that not only report but given calculations are also correct. Because this report was not given by any news agency but by the Subhash Joshi, Commander Indian Border Security Force that India is going to construct such a protection wall in order to tackle Pakistani efforts to infiltrate militants under the cover of fire or shelling and this wall or protection bund would be 10 meter high and 41 meter (135 feet) wide consisting of bunkers and check posts for Indian soldiers and it would be constructed over International border between India-Pakistan to Jammu Sector. Subhash Joshi further said that this plan was under discussion since long however, after infiltration of militants from Pakistani side in September and repeated attacks of militants over Samba it has been decided that this plan should be implemented. In order to put this plan into action Jammu state has been sent formal request by New Delhi for acquisition of land and geographical survey has been started as well. Subhash Joshi disclosed that BSF has started removing mines in the areas where proposed wall would be constructed including Jammu, Kathua and Samba Districts. This wall would consist of 118 villages of 3 districts collectively. On a question BSF Chief said that all construction would be completed by BSF itself and expenses would be borne by Federal govt. How much this plan would cost; Subhash Joshi had no estimate in the same way as Pakistani govt. has nothing to say in reaction to such a big and important war plan of India nor Pakistani govt. is ready to consider or discuss that what would be the consequences of this big military structure in which Indian army would be always present armed to teeth with latest weapons and Indian will no more need to transport its troops to Pakistani borders from its cantonments.